Do the Diet Detox at Martha’s Vineyard Holistic Retreat! The Retreat runs all year round 7 days a week. Book before the end of July and get $100 off per day! Your retreat cost is usually $695/day but act quickly and get it for $595/day all inclusive if you mention you saw this page on this website! Your price includes: a private room with a private bath, one intensive therapy per day, all juices, soups and supplements, one consultation with naturopathic doctor, and a customized home maintenance program. 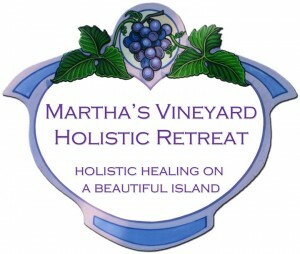 Also visit the Martha’s Vineyard Holistic Retreat website at http://www.mvholisticretreat.com. For a supervised Diet Detox please come and visit us at Martha’s Vineyard Holistic Retreat. At the Retreat we address each major factor that impacts your health, beauty and well being – your body, mind and emotions. Our program is sequential in the steps taken throughout the healing process. It is a total detoxification process that enables you to purge your body of the physical toxins and your mind of the emotional toxins which prevent your body’s immune system from continuously producing the millions of healthy cells you need for day-in/day-out strength and vitality. NEW-Zerona laser fat busting treatments! Dinner time meals are bursting with flavorful soups, and juices that are enzyme rich to ensure total detoxification and cleansing. It is important not to have cooked foods during your physical and emotional cleanse program. You will learn the theory behind a detoxification diet from the naturopath or therapist. Every evening before bed in your healing space you must end with a cleansing procedure that is specifically designed for your individual needs. We make every moment of your stay peaceful so that a total cleanse can take place. Because you are visiting Martha’s Vineyard Island, we will offer you every planned opportunity to engage in Island pursuits. During the early evening you can partake in a health food store field trip, Island tour, spa pass, walking trails, a specific Island event or tourist attraction. The evening is a perfect time to take that stroll to some of the quaint towns on the Island of Martha’s Vineyard. Please email Whitney whitneymvhr@gmail.com or call the Retreat number at (888) 667-6168 or 774-386-1964 with the dates you might have in mind, and she will get back to you asap.